Features 2 translation channel selectors, speak & function buttons, loudspeaker, XLR gooseneck mic connector. Configurable as chairman, single delegate, or dual delegate unit. 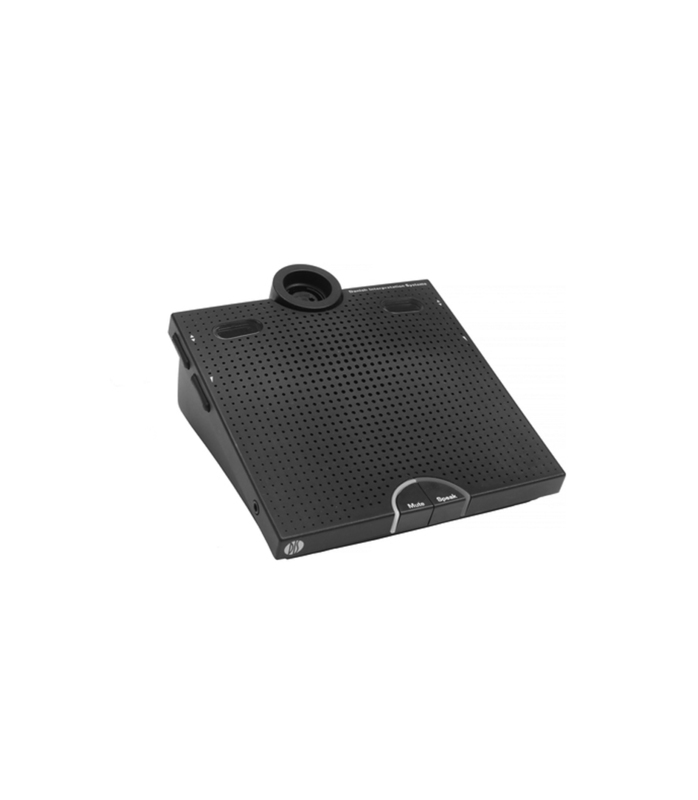 The DC 6190 P is a fully digital portable conference unit perfectly suited for permanent meeting rooms or temporary discussion-style meetings with language interpretation.The unit features a built-in loudspeaker, a 3-pin XLR connector for a pluggable gooseneck microphone (sold separately) and two channel selectors with 3 letter language codes. DC 6190P Portable Conference Unit from Shure is 100% original and is available at NMK Electronics. Speak to our expert for booking a live demonstration. After sales customer service is an integral part of our business ethic and is taken very seriously.